Modern communications managers are in dire need of specialized PR tools that can ease their workload. With the news cycle being 24/7 thanks to online media, it is easy to get stuck in a loop where all you do is cross tasks off your list and respond to outside demands. PR is quite reactive these days. This increased workload also means you are less likely to explore new tools and technologies – and no one can blame you for that. However, sometimes it pays to pause, step back and see whether there are areas where you can improve your company’s workflow. Sometimes software can solve in minutes that task to which you are dedicating half of your day and tons of your internal resources. We talked to our customers and compiled a list of 10 amazing tools they say help the most. You know that Excel sheet where you keep your journalist names, contact info and notes about previous communication? Toss it in Trash, you don’t need it if you’re using Prezly. Prezly enables you to write, publish and send your press releases directly from the tool to a database of contacts. And those are just the side benefits. The biggest value you get from Prezly is the ability to create landing pages – online newsrooms for your company. You simply upload your press releases and multimedia materials for journalists do download. This makes pitching media so much easier: instead of sending documents and 20MB hi res images, or big blobs of text in the email body, you can simply send a link to your story. Moreover, I like that there is an option to provide the journalists with more than just the press release – you can also update company facts, key figures and they can browse previous events. I always hated pasting or adjusting company information in every press release template I sent. Now I no longer have to – the journalists can look it up on their own inside the newsroom. Buffer and Hootsuite are so widely present in the SaaS industry and among digital marketing agencies that writing about them seems redundant. However, we talked to a lot of our clients and it turns out that a lot of PR folk are not using them. This is a pity, as they do deserve their place in your PR toolbox. They can save you ton of time on repetitive, tab-switching community management tasks. 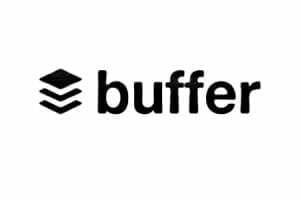 Buffer enables you to schedule social media posts for publishing on various platforms, while Hootsuite offers queuing + complete social media management directly within the app. With Hootsuite you can answer questions without going to the platform, analyze performance and do a host of other community management things. The corresponding prices also match the features. With that in mind, if you don’t have that much social media engagement for your clients, it’s better to use Buffer for scheduling posts + a side social listening tool for tracking what is happening with your clients. If the core of your services also includes answering to numerous customer questions on social media, Hootsuite is a life-saver. The tools also differ in price: Buffer is free for up to 3 social media channels, and paid plans start at $15 for 8 social media accounts. Hootsuite on the other hand will set you back $599/mo. CoverageBook is a report builder for PR people that saves you time on designing the reports and calculating important PR metrics. It is extremely simple to use: you paste all the links to web articles mentioning your PR campaign inside the tool. The tool then scrapes those links – essentially screenshots entire articles – and turns them into a visually appealing report. It also offers basic PR analysis: you can see article reach, social engagement and similar PR metrics. If you want a tool that is really easy to use, will save you a ton of time and will make your clients say “wow, this looks great”, use CoverageBook. Mediatoolkit is a social listening tool that searches the internet for mentions of your client or company and then notifies you seconds after they are published. It tracks 100 million sources, including social media like Facebook, Twitter and Instagram. Mediatoolkit enables you to finally stop googling your clients and instead finds all links to your hard-earned media coverage already inside the tool. It also analyzes your campaign: within the report section you can find reach and engagement numbers, a sentiment analysis, and top influencers that have been writing about your brand. Mediatoolkit is a lifesaver because not only do you no longer have to google your mentions, but you also get a really in-depth PR analysis, with tons of pretty charts your clients will love. As far as PR tools go, it doesn’t get much better than that. Pricing: free, paid plans start at $57/mo. The Hemingway Editor highlights lengthy, complex sentences and common errors to improve the readability of your text. It also suggests shorter words when appropriate and warns you about words that weaken your your writing is weak (riddled with weakening adjectives or passive voice). It is useful in terms of having “another set of eyes” looking at your text. You don’t have to take all of the apps advice, but I found that if you are look at your writing for too long, sometimes you realize that what you wrote down is not what you really wanted to say. If anything, it will force you to rethink whether you need both “innovative” and “groundbreaking” in your press release. The web-based checker is free, whereas you’ll need to shill out $19.99 for a starter desktop-based version that works with no internet connection. Grammarly’s claim to fame is to “make sure everything you type is clear, effective, and mistake-free”(see, they have the Oxford comma!). It is a spell checker on steroids: in addition to fixing common misspellings, it also corrects your prepositions, phrases and idioms, and even syntax! It works as a browser extension – which means you can use it to type emails, documents, presentations, social media posts and even your private Facebook messages without making any grammatical mistakes. The tool is free to use for the basic spelling corrections. They also offer Grammarly Premium starting from $29.95/ month. Canva is a graphic design app that enables “everyone to become a designer”. In just a couple of minutes, you can upload your photo(s), choose the layout among thousands of design templates, assign a font, write the text if you need it and just click export to have the perfect visual. It is the secret ingredient behind all those inspiring posts on social media. But Canva is much more than just that. The tool in fact has tons of design features that go beyond creating social media posts – for example, you can use it to design ebook covers, brochures or online invitations to your event. Just imagine all those times you were frustrated because you had to wait for the designer to redo a simple typo. Or maybe you had neither the budget nor the time to send a simple newsletter header to the design department? Canva saves you the trouble of briefing others and waiting impatiently for a job to be done. Remember when the internet was 90% text, 10% flashing banners? If you do, Wave is the tool you need to start using now. The internet you grew up was a book, the internet used by today’s kids is a video streaming platform. Social media posts, Instagram stories, Snapchat, YouTube… even the traditional website publishers are increasingly into embedding video in their texts. But in spite of growing demand, PR experts are largely still hesitant to take the “video publishing” route. Video used to take hours, even days to make for the client, you needed professional equipment, sound effects and montage. But this has changed. What Canva did for static images, tools like Wave are doing for video. In just a couple of minutes, you can upload raw video material from your phone, caption it inside the tool, choose your music and have the video ready to go. You can even choose stock videos inside the tool to complement the story better. It even automatically adjusts the layout to the right format for different social media. Wave is great if you have a visually attractive product that the media would love. Even if they don’t publish it, it’s far more interesting to receive a pitch in the form of a video than a boring press release. Use this opportunity while nobody else is doing it. Buzzsumo is a simple, yet powerful tool that enables you to research popular topics on the internet. You write a phrase you want to research, for example “content marketing” and the tool shows your the most viral articles and blogs on that topic. The tool is best for finding inspiration behind popular subjects, or when you are trying to find a popular angle for your topic. It also serves well as a tool to find journalists writing about topics or companies similar to your clients One of the most popular tools among content marketers, with prices starting at an affordable $99/ month. Our final tool is useful on several levels: for SEO writing inspiration, improving your content marketing efforts and even for search advertising. 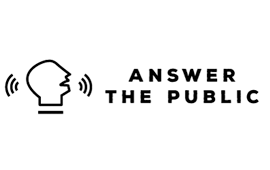 Answer The Public is an interesting free website where you can type any phrase or word, in any language, and it will show popular connected searches on Google. Say your client deals is a refrigerator company. Write down refrigerator, and you’ll end up with a free report with connected searches. There is tons of inspiration that can be found. For example, there is a request for “refrigerators with glass doors”. I would love to read an article showcasing 10 high-end refrigerators with a glass door. What are the advantages (the disadvantage obviously being that everyone will see how messy your fridge is). You can do this for any topic. Heck, I did it for this article. Sometimes you are too stuck doing the same PR work with the same messages as always. Looking into data from Answer The Public helps you see the same old topic from a completely new angle. Try it now and it is guaranteed to put an end to your writing block. That is it from us. Which PR tools are your favorites? Those are really helpful PR tools anyone should start using right now for better PR strategy. Thanks for sharing these amazing tools, indeed Buzzsumo, Canva and Grammarly are really worth trying for any marketer.